Tickets to the full IPNC weekend might be sold out, but you can still indulge in the region’s most celebrated wine varietal at these Thursday night dinners and events. Each year, oenophiles from all over the world come together in Oregon’s wine country for a long weekend packed with all things pinot noir. The International Pinot Noir Celebration, taking place for the 28th year from July 25-27, allows pinot producers and enthusiasts to gather for outdoor tastings, seminars, open air dinners, a salmon bake, vineyard tours, and so much more—all on the beautiful campus of Linfield College in McMinnville. But for those of us who can’t commit to three days of pinot immersion (or afford the hefty price tag that comes with it), there’s an alternative that allows you to partake in the fun for a fraction of the time and price. As has become tradition, on the Thursday prior to the wine-filled weekend, July 24, many local wineries host pre-IPNC dinners featuring some of the best chefs in the Pacific Northwest and, of course, some of the regions finest pinots. We’ve assembled a list of some of the weekend’s most exciting Pre-IPNC events, but better hurry if you plan to partake in the fun. Tickets to the events sell out almost as quickly as the IPNC itself! For the complete list of Pre-IPNC events, visit the IPNC website. 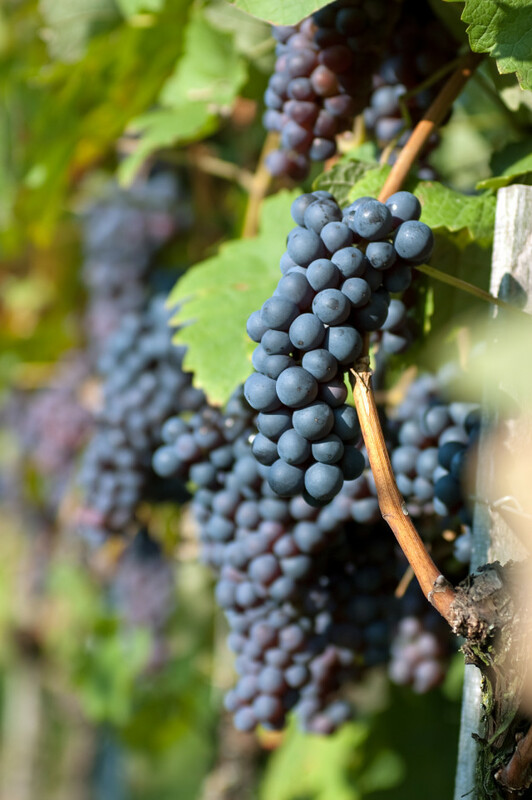 Relax at this al fresco pre-dinner wine tasting, featuring 18 wineries from Oregon and beyond, and indulge during a family-style dinner prepared by JORY’s executive chef Sunny Jin. And, as if that weren’t already enough, you can feel good about your participation in this event, which helps support ¡Salud!’s mission of providing healthcare outreach to Oregon’s seasonal vineyard workers. To Purchase Tickets: Tickets can be purchased online. Sit back and relax at the perfect date night dinner and a movie event. The evening will include the IPNC premier of American Wine Story, a documentary featuring the passion of winemaking and artisan distillery, and a wandering feast prepared by Ned Ludd chef/owner Jason French that will be scattered throughout the Evergreen Aviation and Space Museum. Inhale the scents of the estate vineyards with your nose and your mouth at Eyrie’s first pre-IPNC dinner. Eyrie, along with Chef Jason Barwikowski and Carly Laws (Woodsman Tavern, Olympic Provisions), will capture the scents of the vines and pair them with a 5-course dinner, eaten al fresco in the estate vineyard. To Purchase Tickets: Contact Paloma Dale at 503-472-6315 or cheers@eyrievineyards.com. Anne Amie’s Counter Culture, a pre-IPNC staple, celebrates the coming together of urban street food and international wines. Each year the vineyard hosts diners for a feast from local restaurants and food carts and paired with wines from all around the world. Utopia Vineyard will host an al fresco dinner set under the stars featuring local bounty. The dinner will be prepared from a wood-fired oven by chefs Jody Kropf and Shiloh Ficek of Red Hills Market and guests will have the opportunity to interact with Utopia winemaker Daniel Warnshuis as well taste wines from guest winery Folin Vineyard & Cellars.